Brandi and Stephanie reveal they are no longer friends after feuding over the summer as a new series of Real Housewives returns. It’s a new series and a new Winter in British Columbia community Hope, where heavy rescuer Jamie Davis and crew face the ultimate challenge. We return behind-the-scenes to Bedfordshire Police’s daily operations, which in this first episode includes a case of police corruption. Marcella investigates the murder of a friend of her son Edward’s, after a body is found years after the child’s abduction. A new series investigating some of history’s most inflamous flight disasters, speaking to the survivors who experienced them. Jazz decides to start dating, but a long-kept secret she has been keeping from her family may bite her in the back. John Oliver returns for his American talk show, offering a satirical take on the week’s biggest news stories. The return of the documentary that explores the roadworthiness of elderly drivers, starting with a 102-year-old veteran who has cheated death three times. Alan Davies returns to host the show that profiles RSPCA officers, as the team discover a house with more than twenty canines living there. A new series about an American family that may not be as progressive as it thinks. Katheryn Winnick and Alyssa Sutherland, stars of the hit series Vikings investigate what life was really like for women in Norse society. It’s Cathy’s 60th birthday lunch, which will probably go as well as one would expect any family reunion to go. Matt Richardson hosts the new companion series to the show that sees 10 celebrity contestants survive a night in a haunted home. A new series covering pivotal moments in history – starting with the decision by Winston Churchill to go to war. Christine Lampard and Matt Richardson host a new live reality show, in which 10 celebrity contestants stay overnight in a haunted home with the intention of discovering its secrets. Seven adults in Kansas go back to school in order to help them understand the unique issues faced by the modern teenager. Paul Connolly hosts this new documentary investigating phishing, the online practice of tricking individuals into handing over their personal bank details. The long-awaited Big Bang Theory prequel about Sheldon Cooper as a young boy, struggling to fit into rural life in Texas. A new series looking at some of the world’s most impressive modes of transport, starting with the mega yacht. The animated adventures of US President Donald J. Trump, as he tries to ensure the best possible future for himself and his country (but mostly himself). Britain’s most beloved TV critics are back in a new series of Gogglebox, providing their fresh takes on the best of the week’s telly. A new documentary following Salford City FC as it undergoes major restructuring, turning into a full-time club. Fresh from their record NTA win, Ant & Dec return to Saturday night television for their weekly variety show. Kyloie Minogue, Olly Murs, Amanda Holden and Scarlett Moffat will all appear as special guests. Top Gear returns with Matt LeBlanc, Chris Harris and Rory Reid in the drivers seats with a new cross-country American road trip. The guys test a McLaren, Jaguar and Ford, while Rob Brydon is the episode’s celebrity guest. A new documentary-drama investigating the history of organised crime in the US, starting with Al Capone’s partnership with Johnny Torrio and his first kill. The first episode of the returned series investigated the death and burial of young Ancient Egyptian King Tutankhamun. 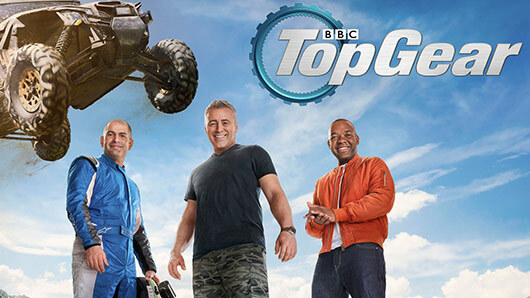 The return of the companion series to Top Gear, with host Rory Reid and guests Sabine Schmitz and John Hennessey. A new series of the show that teaches us the secrets and origins of mass-produced food. In the season 13 opener, Jimmy heads to the United States to investigate ice cream chunks, Kate looks at a rise in olive oil prices in Italy and Matt is investigating the popularity of various cocktails on planes. When 15-year-old Alex is stabbed, surgeon Jon Allerton is called into work on his birthday to save the boy’s life. Allerton’s medical team proves unable to save Alex, which prompts Alex’s father Dan to become obsessed with a conspiracy that Allerton is to blame for his son’s murder. When a pizza delivery man is murdered under suspicious circumstances, DI Kip Glaspie and her partner DS Nathan Bilk discover there is more to the death than previously thought. What secret were the victim – and his manager – hiding from the police? A new series of the panel show about video games starring Dara O’Briain as host, Gregg Wallace and Jodie Kidd gues star in a fun-filled opening episode in which they play Spy Hunter, Total War: Rome II and Battlefield 1. 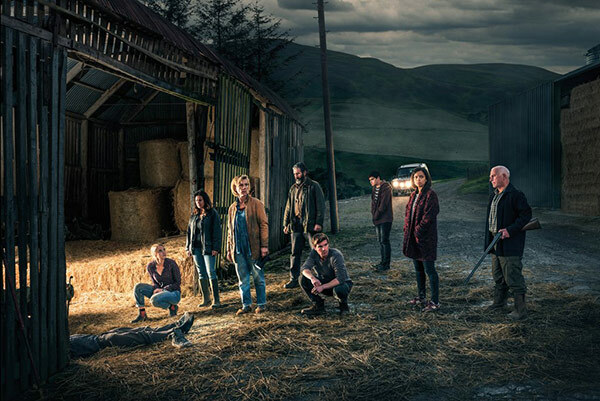 The return of the Scottish detective drama sees a man have his murder conviction overturned after 23 years, prompting Perez to open a new investigation into the 1994 murder of a teenager. A new documentary that goes behind the scenes of Yorkshire Ambulance Service’s Hazardous Area Response Team. A new documentary series about the front line in Afghanistan, containing powerful footage from events that took place there. The series opens with footage from an attack on Ghazni Province in 2012 by paratroopers. This new series follows the progress of Liverpool property buyers who bought houses on a derelict street for only £1 and the promise they would renovate their new homes. This episode follows Mel and Rob, who are devoted to building a family home on a budget for their kids, and Rachael and Sam, who create a beautiful home on their property. A new series of the documentary showcasing some of Planet Earth’s most beautiful places and the lives of those who live there. In the first episode, views meet Himalayan local Thokmay Lowa and local communities in the Arctic and Siberia. The new television adaptation based on the film trilogy starring Liam Neeson. In this series, Clive Standen stars as a younger Bryan Mills – a man who seeks revenge after the murder of his sister. Treasure hunter Drew Pritchard travels across the UK in the hope of finding undiscovered treasures in a new series of this Salvage Hunters. A new series about the mega-airport in one of the world’s richest countries. In the new series, an emergency shuts down the airport while the construction on a new concourse enters a challenging phase. The team at Elm Heath Social Services returns for a second series, in which Nat deals with missing records, Rose deals with family issues and the team face a difficult case on abuse. Stephen Mangan and Heather Graham star in this new comedy drama about a travel writer who leaves a double life with two families, both of whom know nothing of the other. The documentary series focusing on port cities begins a new series in Sunderland, which is trying to move past its industrial history into a high-tech future. Seconds from Disaster unveils how a simple accident can cause of chain of catastrophic events, resulting in some of the world’s most infamous disasters. What were Hitler’s plans for if Nazi Germany had won the war? Guy Walters investigates how Britain might have looked under Nazi occupation. 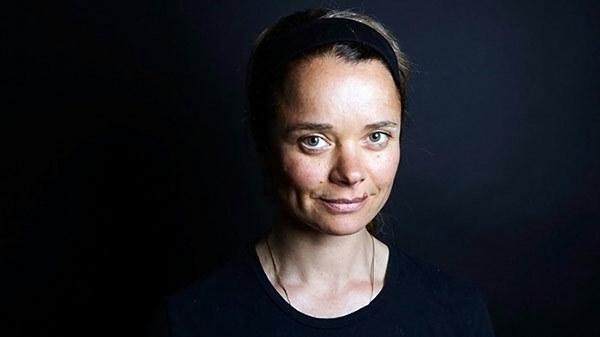 Solid Physicist Helen Czerski presents this new, aptly-named documentary series about the science of temperature, revealing how temperature has shaped the world in which we live. As in the first two series of this questionable reality show, experts select couples matched scientifically to marry upon their first date. It’s a crazy idea, but contestants keep signing up to do it. In the first episode of the new series of Air Crash Investigation, investigators try to work out if the crash of a commercial jet over a war zone in Ukraine was caused by a missile from the ground. This unusual and emotional series sees a person with a terminal illness leave messages and gifts to their loved ones, to be delivered after they die. The bittersweet documentary shows the powerful responses of their loved ones to the surprise. A new series of the documentary that follows British jobseekers as they interview for positions. The new series starts with an interview for Virgin Trains, while cosmetics brand Ciate London want an online promoter. Police investigators look into a real-life case in Louisiana as a string of suspicious deaths take place. Filmed in real time. A new series following the work of YouTuber and dermatologist Dr Sandra Lee, who rose to internet notoriety after videos of her procedures went viral. Based on the film of the same name, Training Day follows LAPD head Detective Frank Rourke and his team as they go after the most dangerous of criminals. Palaeontologist Tori Herridge returns for a new maritime series, which explores Britain’s coastline for the secrets of its past. She begins this series in East Sussex, where she examines an 18th century shipwreck and a 200-year-old bottle of wine. National treasure David Attenborough returns with another series of the show dedicated to some of the animal kingdom’s more unusual members. The first episode follows a cross between a polar bear and a grizzly bear, known as a ‘pizzly’, as well as a killer new bee cross. A new series based on the legend. When herdsman Paris falls in love with the beautiful Queen Helen on a visit to the King of Sparta, his actions lead to far-reaching consequences. Sharon Stone stars in this new thriller about the efforts of police to investigate the disappearance of a resident from a rural town in Utah. A new comedy in which a retured women agrees to marry her neighbour and makes plans for a new life in the sun. 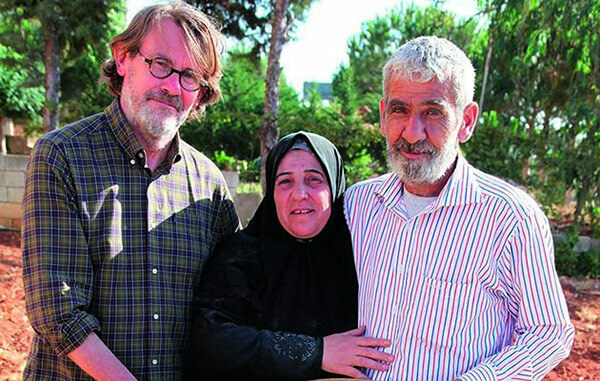 However, when plans change when her middle-aged son leaves his wife and family to move back into his mother’s home. Claire Danes returns as Carrie Mathison in the seventh series of the espionage drama, where Carrie has left her position at the White House and attempts to secure the release of Saul and other federal employees in prison. A new documents that follows prisoners in Arkansas awaiting the most permanent of punishments, following the state’s reintroduction of the death penalty after 12 years. It’s the start of a brand new week of TV and the start of our latest weekly endeavour. We’re keeping television fans in the loop by bringing out a new weekly release on what’s new and returning to TV this week. Every Monday, look out for our post on what’s new and returning to television this week across Freeview, Sky, BT and on-demand. 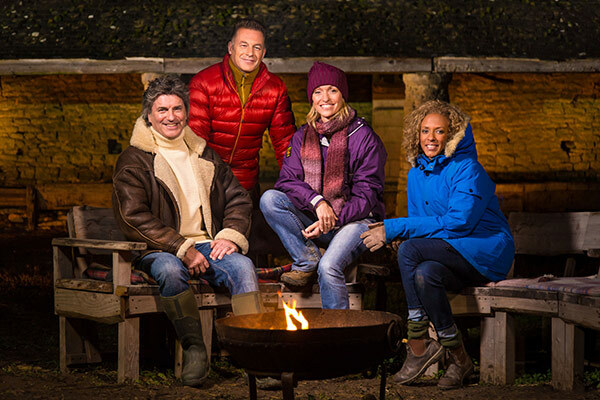 Chris Packham and Michaela Strachan are back for the sixth outing of the beloved nature series, catching up with animals from previous series and meeting fascinating new creatures. A new series about Canadian rescue crews who serve some of the world’s most remote locations. It’s Burns Night on the newest series of sitcom Two Doors Down. Naturally, this means surprises, arguments and haggis. The first episode of season eight covers a double murder committed by a white supremacist couple. 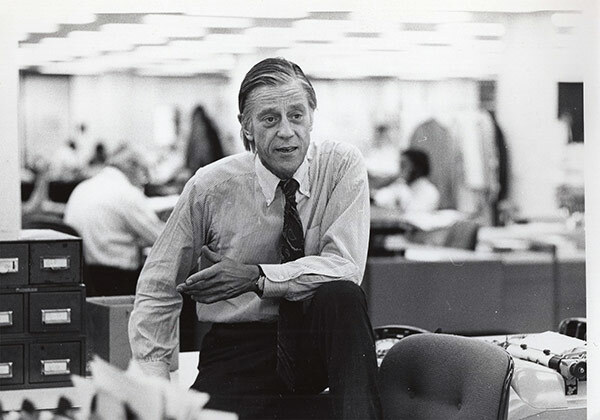 A documentary about the life of Ben Bradlee, the Washington Post editor whose work helped bring down President Nixon by revealing the infamous Watergate Scandal. Highlights from the 2018 Rallye Monte Carlo, which takes place on mixed road surfaces in the Hautes-Alpes. 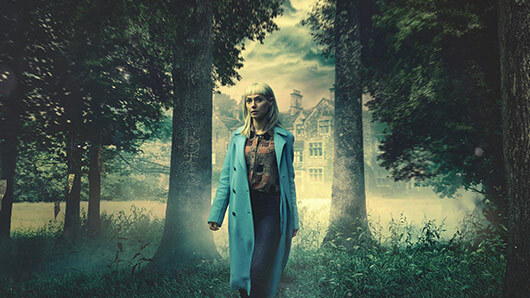 New Netflix series about a murderer who hides in the Scottish Highlands amongst the families of those murdered. This fascinating documentary examines what we know about the workings of the brain by looking at the work of leading neuroscientists and the people they are helping. The gritty Italian mob series is back for a third series, starting with Genny’s need to cover up Pietro’s death as a power vacuum takes hold on the streets. A very topical new series that examines Britain’s housing crisis. In the first episode, Richard Macer heads to Oxfordshire to meet local residents and learn how building new estates is affecting their lives. 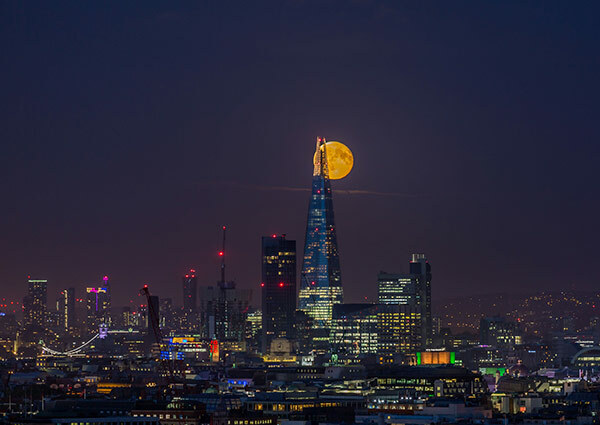 A new documentary on how the moon impacts life on Earth over the course of a month. 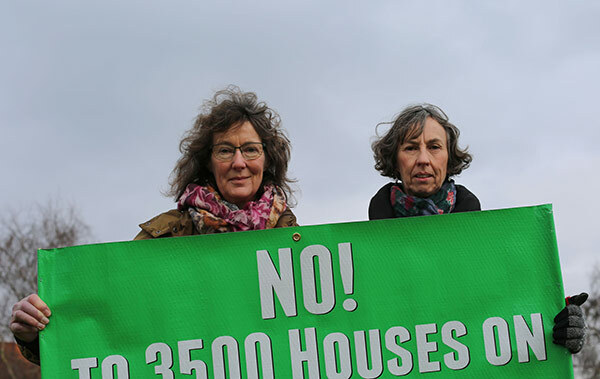 Gloucestershire couple Susan and Alan want to add an en-suite to their master bedroom, while Sheela decides her parent’s kitchen is in need of renovation. 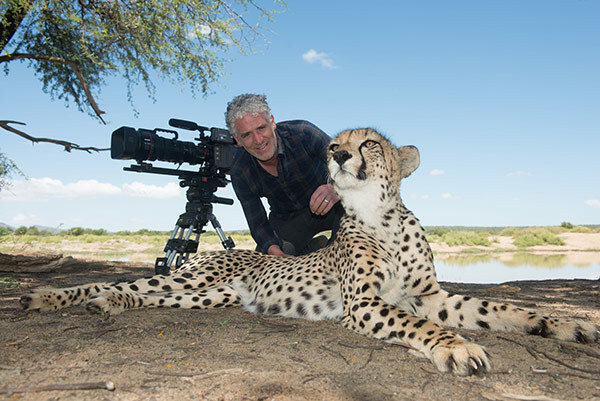 Watch a nature documentary from the eyes of nature itself, in this intriguing new series which attaches cameras to various animals in the wild. 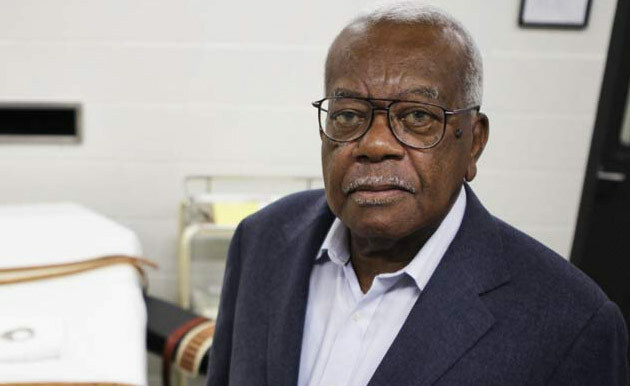 Trevor McDonald returns to Death Row for a new two-part documentary, in which he meets inmates waiting execution and tries to learn what made them do the things they did. The most bizarre new concept for a celebrity series in recent times – actor Tom Conti, mercurial gardener Diarmuid Gavin, ex-athlete Tessa Sanderson, singer Tony Christie and presenter Penny Smith go barging. Nigel Slater travels to the Middle East to sample some of the region’s finest food offerings, starting with Lebanon. 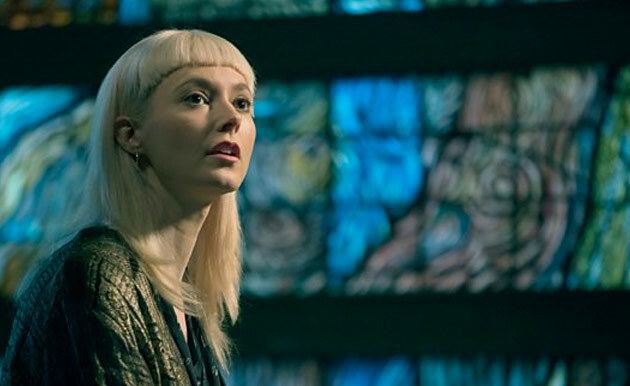 A musician heartbroken by the suicide of her mother discovers a box of items belonging to her mother relating to a murder some twenty years earlier. Believing her mother’s death may be related to the items, she goes on a quest to learn more about the murder.